EverSleep 2 is a wearable tracker that’s like having a sleep lab in your own bed. Colorado-based startup SomnoHealth aims to help you get at the bottom of what’s keeping you up at night with the EverSleep sleep tracker. The founders, a clinical sleep technician and 2 medical device engineers, came together with a common goal…. bring hospital-grade advanced sleep monitoring directly to the consumer. They realized that although consumer sleep trackers can report on how good or bad your night’s sleep was, they can’t tell the user WHY they are sleeping badly. 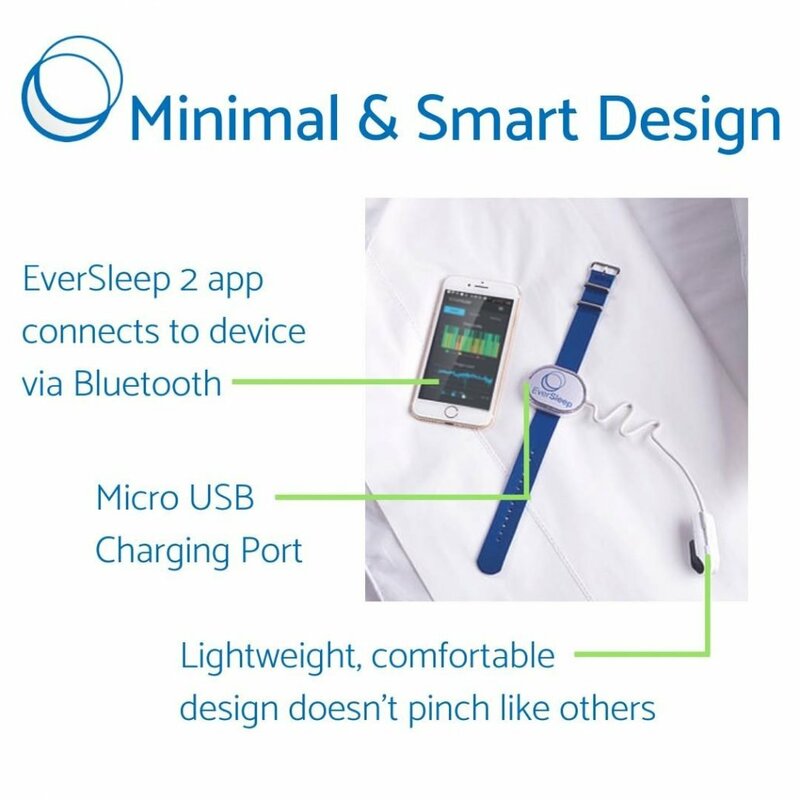 So, with successful careers based in “pulse oximetry” oxygen monitoring technology -one of the key measurements in clinical sleep lab monitoring – the EverSleep team set out to create a simple, comfortable, inexpensive consumer home health device that delivers much of the benefit of a true sleep lab. 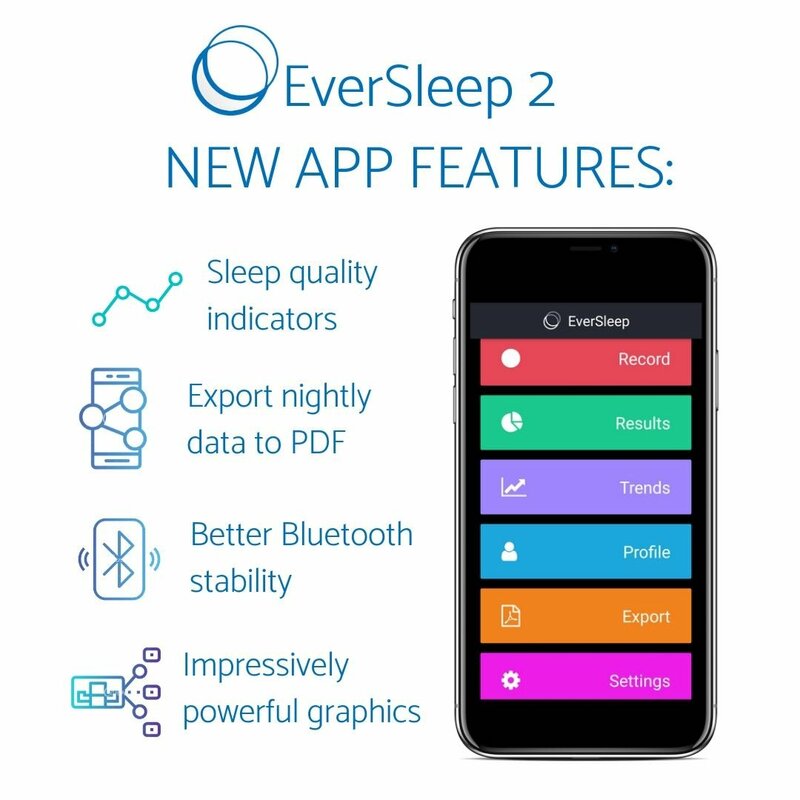 EverSleep promises to be able to identify the main issues preventing you from getting a full night’s rest including snoring, apnea, and insomnia and then provide you the tools to deal with them. 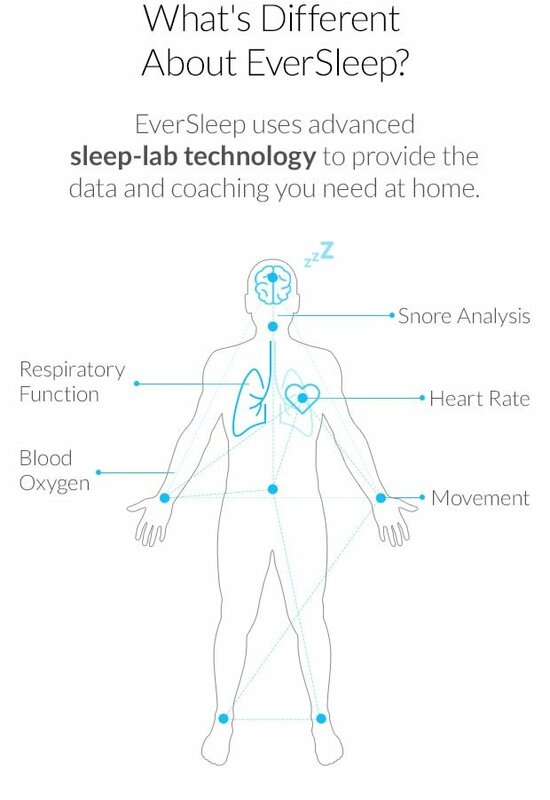 EverSleep was designed to offer a sleep lab-quality sleep tracking minus the extra wires and discomfort of not sleeping in your own bed. 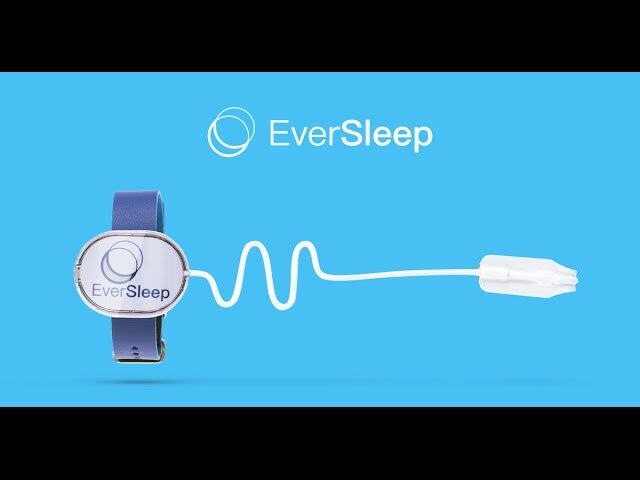 The EverSleep is meant to be worn around the wrist at night, while the owner snoozes. 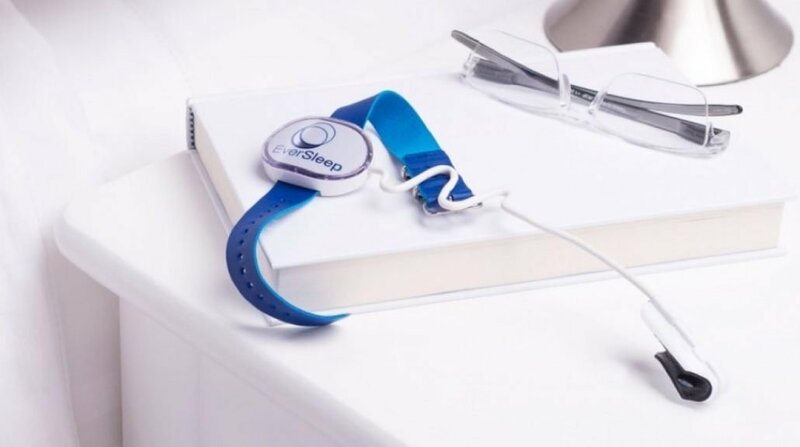 The product has a pulse oximeter built-in that provides blood oxygen saturation monitoring, in addition to an accelerometer for noticing motion, and a sound monitor for detecting any snoring. All these sensors are neatly packed in a compact wearable, not much larger than a regular watch, that is offered in combination with a comfortable silicone strap. The EverSleep ships alongside the attached fingerprint sensor, a USB charging cord and a small roll of medical tape (sometimes the sensor needs a bit of help staying on overnight). Like the majority of sleep trackers out there, the EverSleep will record the amount of sleep and track movement. Where this wearable differs from the crowd is that it’s capable to provide a more detailed sleep analysis through the accompanying app. On top of being able to detect conditions such as apnea and insomnia, it will also offer a snoring analysis and will even facilitate a better understanding of sports recovery. Once the analysis is put forth, the coaching element steps in, meant to help users make sense of the data and offer tips on how to improve their pillow habits. For example, the wearable can distinguish between several types of insomnia, and each one will come with different recommendations. What’s more, the app will ask you whether you have any allergies or a cold, in order to make an apt determination on whether your insomnia is being caused by breathing interruptions. 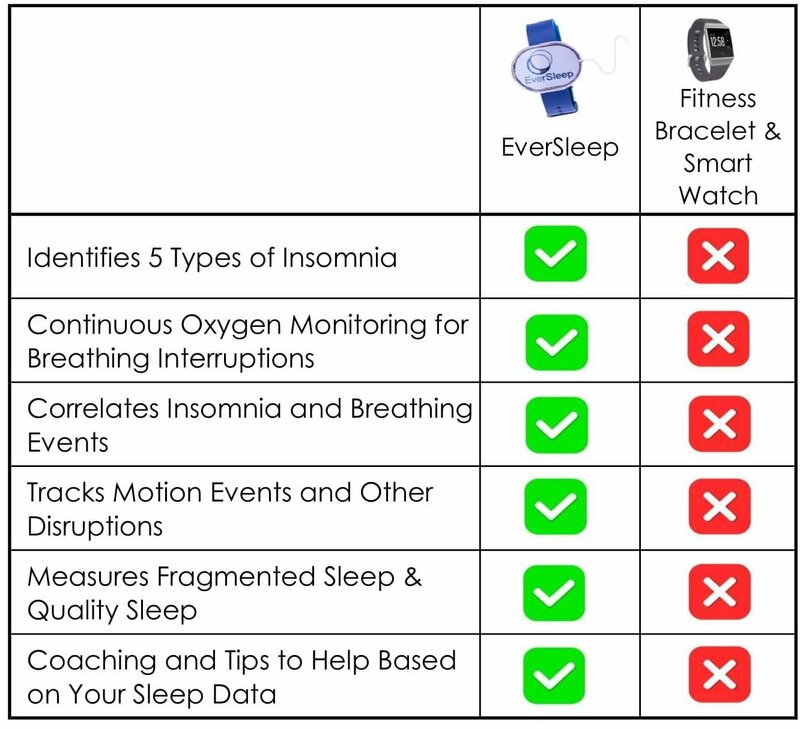 EverSleep claims it can save you hundreds of dollars by offering these advanced sleep diagnostic tools at the convenience of your wrist. Please note: EverSleep is not a FDA 510(k) device, and does not treat, cure, or diagnose any disease.